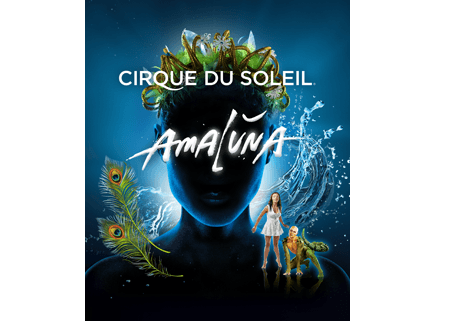 Cirque du Soleil scores another winner with AmaLuna. This show is continuing its successful tour. It has played New York and Miami, is now in Houston, and will next play Europe. 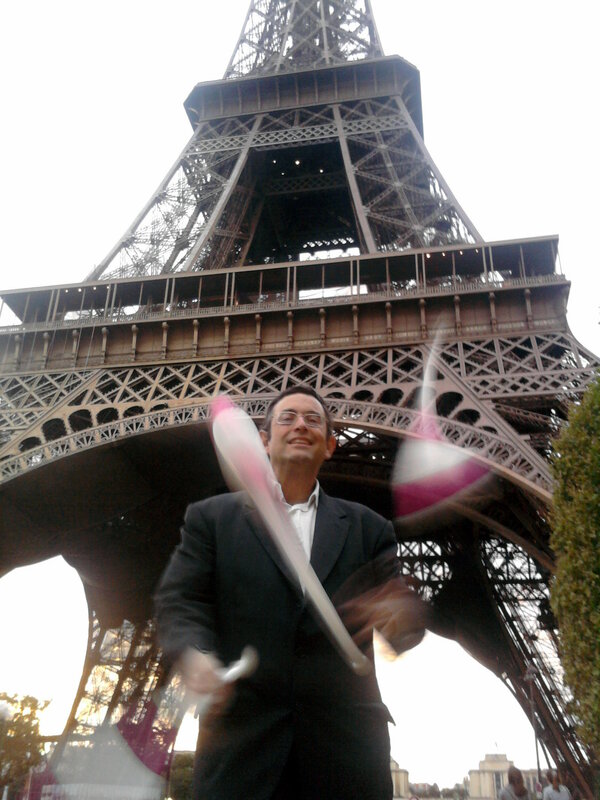 The star of the show is Viktor Kee, world class juggler from Priluki, Ukraine. Viktor studied under Alex Gruzin and in the Kiev circus school. Viktor previously appeared in Cirque du Soleil’s Dralion. In AmaLuna he appears as the character, Kali. The AmaLuna follows the exploits of the mystical, comical, island queen, Prospera, and her winsome, innocent daughter, Miranda. When a group of shipwrecked sailors happen upon Prospera’s kingdom, the queen’s lady soldiers and pet reptilian creature Kali must protect the princess. Of course no one expects the queen to fall for the bumbling captain of the ship herself, but maybe that’s whats going to happen. Possibly maybe. The opening act finds the girl soldiers in training, in an excellent and innovative display of circus skills. Eight women pair off as base-girl and flyer and do a simultaneous risley act. The antipodist foot jugglers tossing and catching the other girl, or flyer. But not only do they do a fine risley routine but the flyer is manipulating orbitals the entire time. Orbitals consist of a rope with two balls at either end, which is then tossed, caught, and spun. A great act. Later acts consist of another display by the women warriors, this time doing acrobatics on an apparatus which resembles multiple uneven parallel bars, connected and embellished. In fact, the entire show was lavishly embellished with splendid costumes and live rock music. In another act, the princess falls for the first mate, Romeo, and does an equilibralist act, doing handstands on blocks fixed on the top of poles. The poles are fixed on top of a six foot high, 5500 pound bowl of water which Miranda swims in and later pushes Romeo into. The show is directed by Diane Paulus, who directed many shows on Broadway including the 2013 revival of Pippin for which she won a Tony. Kali the creature appears and reappears comically interrupting Miranda and Romeo while Prospera and the captain are whooping it up behind his tale. At last, love conquers all and Kali shows his approval for the young couple by gladdening the bride and groom with his skills at manipulating fire and water. The crystal bubble balls fall from high above and Kali plucks them out of the sky and juggles one to seven of them. His five ball routine consists of back crosses, pirouettes, a variety of patterns, and kick-ups. He juggles seven balls, one of which is on fire. But Viktor’s unique style is what captivates audience members with his graceful dance moves and ability to place the balls in interesting arrangements all over his body, down his back, and rolling over his creature features. Viktor won the 2003 Silver Clown award at the International Circus festival in Monte Carlo. He has said that he was greatly inspired by Francis Brunn and it certainly shows in his unique work.